Redefining the Mischievous Homicide Law: A Comparative Analysis of Homicide Laws in Bangladesh, UK and the U.S.
Ferdausur Rahman is a partner of A.S & Associates who leads the Employment & Labour Sector, Corporate Governance, Compliance & Regulatory Matters, Issues related to Govt., Non-Profit & Charitable Organizations and International & Commercial Contract related matters of the firm. 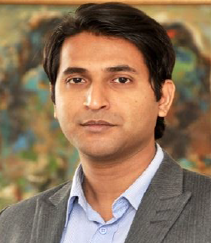 Mr. Rahman also practices in the fields of ADR, Land matters and Family disputes. He is the Reporting Partner of the Network Firm at Moulovibazar. He has experience working with a number of national & international organizations and non-profit/charitable institutes as primary in-house and external counsel and is regarded as one of the leading experts in the field of Corporate Governance, Compliance & Policy matters and Internal Control. He has assisted different national and international organizations with setting up of their internal legal departments, Department of Regulatory Affairs, initiating their Provident Funds, drafting and implementation of various policies & procedures of such organizations (Staff Rules, Code of Conduct, Procurement Manual, Grievance & Non-compliance Event Policies etc.) and advising senior management of these entities with strategic legal, financial, HR and other organizational issues. Furthermore, he has been part of different evaluation, internal audit and inquiry proceedings for his clients and has worked with KPMG (Bangladesh), Deloitte (Kolkata) and PWC (India). Mr. Rahman is also well known for his expertise in the field of International and commercial contracts, having experience of working with foreign donor agencies such as USAID, AUSAID, CIDA, SIDA, DFID, the World Bank, Bill & Melinda Gates Foundation and the Global Fund. Moreover, Mr. Rahman is also an expert of alternative dispute resolution mechanism and is an Accredited Mediator of CEDR, UK. He has participated in various out of court settlement process n behalf of his clients. He assisted the Board of Trustees of a Statutory Public Body with identifying and adopting corrective measures for their By-Laws in compliance with the governing legislation. Mr. Rahman also advised Board of Trustees of a reputed private university of Bangladesh regarding the regulatory obligations of the University under the Private Universities Act 1992. Mr. Rahman led the assessment and implementation of corrective measures for legally complaint operation of the hospital and the diagnostic laboratories of a Bangladeshi research institute. He was a panel member of the Inquiry Panel for determining non-compliance of a US Federal Funded research project in Bangladesh. With Deloitte (Kolkata), he coordinated the investigative audit of Vertical Extension Project of an international organization located in Bangladesh. He has also advised the Honorable Consular of a foreign state in Bangladesh regarding requirements and interpretation of national provisions, govt. circulars and international treaties. Furthermore, he acted as the lead adviser of a joint venture between a local pharmaceutical company, a Korea based Contract Research Organization (CRO) and an international health research organization regarding establishment of an independent CRO in Bangladesh. He has completed his legal studies from the University of London in 2006 and was called to the Bar of England and Welsh by Lincoln’s Inn of UK. He has also completed his PGDL, MBA and PGDHRM from different universities of UK, USA and Bangladesh. Mr. Rahman is a member of the Honourable Society of Lincoln’s Inn (UK), Dhaka Bar Association and International Bar Association. He is also an Associate Member of Bangladesh Society for Human Resources Management. Mr. Rahman also enjoys teaching law and was an adjunct faculty of Eastern University and Bhuiyan Academy.